Happy Valentine's Day! 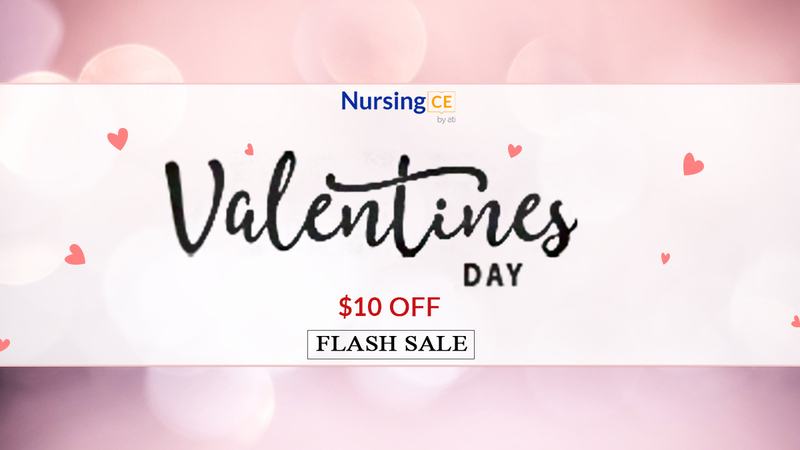 Today is the day that is dedicated to love so we wanted to share our love with you by having a one-day flash sale so that you can save on your continuing education. Enter coupon code VALENTINES at checkout to get $10 off your CNE courses. Normally, you can earn over 100 CNE hours with a one-time payment of $49, but with this sale you get all of those hours for less. This offer ends on tonight, February 14th, at 11:59 pm PT. This sale may not be combined with any other offers or promotions. Not valid towards gift card offers or on past purchases.